I am getting really sick of people saying how expensive it is to be a vegetarian or eat healthy! These are the people who have never walked through the produce section of a supermarket or considered buying something which wasn’t processed and ready to eat out of a can or microwavable dish. Yes, all those veggie dogs and fakin’ bacon are pricy compared to their (disgusting) meat counterparts. But being vegetarian or vegan does NOT have to be expensive. To prove my point, here are some of the cheapest and healthiest vegan foods. Oats are also great in cookies and as a bonder for your veggie burgers! 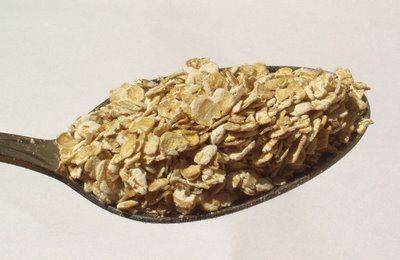 The best part is that oats are one of the cheapest foods you will find in the supermarket, with a pound costing about $2. That means a 1 cup serving will cost you just about 44 cents! Quinoa has become pretty trendy lately (Oprah must have mentioned it), and its popularity is well deserved. A 12oz box of it costs about $4 and will give you 7.5 servings. For those of you who are bad at math, that means a serving of quinoa costs just about 50 cents! It is even cheaper if you buy it in bulk. Brown rice is one of my favorite foods in the world. Part of the reason is because brown rice (literally) makes me happy because it contains the amino acid tryptophan, which gets turned into our happy-chemical serotonin. Brown rice is also a versatile staple, working in soups, stir-fries, burritos, casseroles, and stuffing. Lentils are one of the cheapest foods, and still they are packed with loads of nutrients. I even wrote an entire post on ways to cook lentils because they are such as good option for the poor vegan! Lentils cost about $2-$10 per pound, depending on the variety. With a pound producing 10 servings, lentils can cost as little as 20 cents per serving! There is hardly a cheaper way to get loaded up on protein, fiber, iron, B vitamins, zinc, potassium, and magnesium! I’ve lately become a big fan of kale. Aside from tasting great in my recipe for kale leaves stuffed with white beans and baked in tomato sauce, kale is a powerhouse of nutrients. Like its leafy-green counterparts, kale is packed with lots of iron and calcium. Unlike certain other greens though (such as spinach), kale delivers the nutrients more effectively because our bodies can absorb them better (aka bioavailability). This is because kale doesn’t have as many acids and phytochemicals blocking the absorption of iron and calcium. As an added bonus, a cup of cooked, chopped kale delivers 1328% of your RDA for vitamin K (which makes for some healthy blood and bones!). Kale may seem pricey per pound (about $3-$7/lb, depending on the season). But kale is lightweight, so a pound will produce a lot to eat! Usually kale is sold in bunches which cost about $2. You can get about 5 servings out of those bunches, which means you are eating nutrient-rich food for just about 40 cents per serving! When it comes to cheap eating, beans reign! They cost about $1 per pound and, once cooked, yield a tremendous amount of food. In general, 1lb dry beans = 2 cups dry beans = 6 cups cooked beans. That means you are getting 6 cups of beans for $1!!! You won’t have to eat 6 cups though. Even a small portion will load you up with protein, fiber, iron, calcium, and loads of other vitamins and minerals!